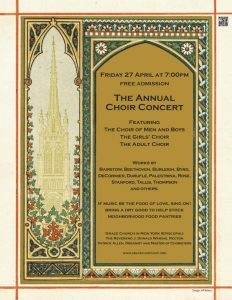 Annual Spring Choir Concert by the Grace Church Choirs Friday 27 April at 7:00 p.m. 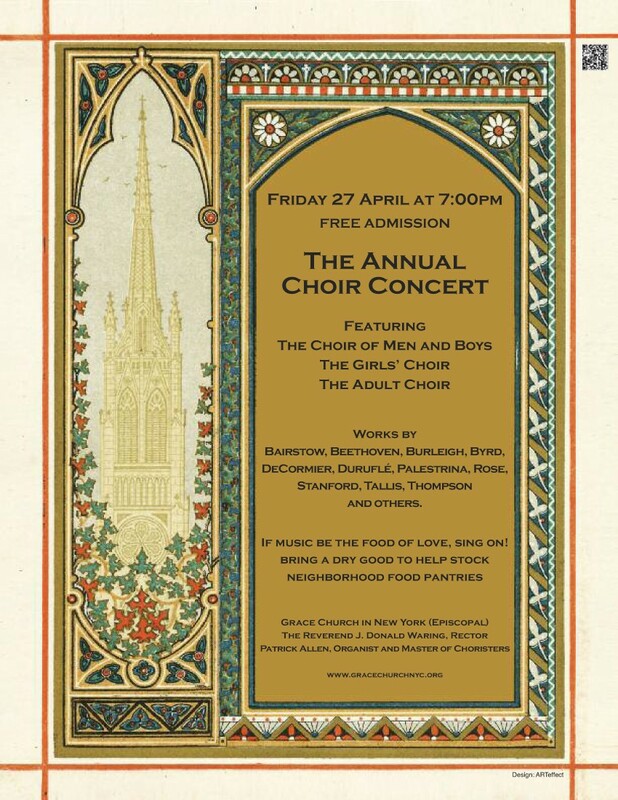 The Annual Choir Concert offered by Choir of Men and Boys, Girls’ Choir with High School Singers with the Adult Choir will take place on Friday, April 27th at 7:00 pm. 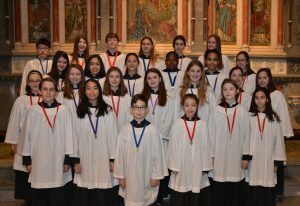 in the Church. 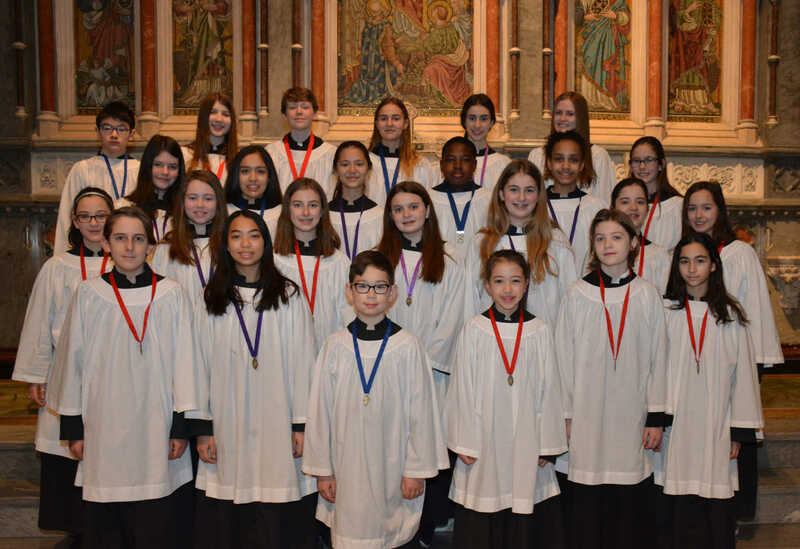 The Program will feature the musical offerings being prepared for the summer Concert Tour in Spain that includes the following locations: El Escorial and San Miguel,Toledo and Barcelona, La Sagrada and Montserrat.